Whether you are a local or visitor to the New Forest, this video on New Forest Walks will take you on a real life hike from Ashurst to Brockenhurst. I found the quality of the video not that clever but the guide and commentry are excellent and a must see for anyone interested in viewing the inner depths of the Forest. Children will love this walk as it will put them directly in touch with nature and a very good chance of spotting Deer and other wildlife - so come on Mum and Dad, get those wellies on and get out and enjoy one of our New Forest Walks with the kids. http://www.bbc.co.uk/dna/h2g2/A30036962 as part of the h2g2 AViators project. 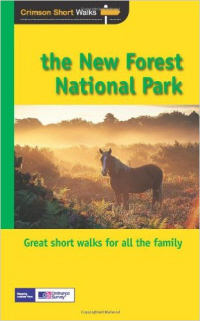 Please, please do share this New Forest Walks video with others by clicking on the Social Bookmark buttons below - thank you.